Based on the book “Pope Francis: Life and Revolution” by acclaimed journalist Elisabetta Piqué, a close friend of the Pope and a correspondent in Italy and the Vatican for La Nación, Argentina’s main newspaper, Pique offers an intimate, in depth portrait of Pope Francis, drawing on interviews with over 75 individuals including lay people, priests, bishops, cardinals and the Pope s family and friends, as well as her relationship with the Pope as a close family friend. The book’s film adaptation, “Papa Francisco: The Pope Francis Story” tells of Pope Francis’ early life and his path to the papacy, including his decision at the age of 20 to train as a priest against the wishes of his mother, his appointment as the youngest Provincial of the Society of Jesus at a time when the order was in crisis, his studies, his teaching career, his exile in Cordoba, his appointments as auxiliary bishop of Rome, as Archbishop of Buenos Aires and as a Cardinal, before becoming Pope at the age of 76. The film continues to share the Pope’s battles against prostitution, drug trafficking and slave labor – defender of the poor and the oppressed, he stood against the powerful against all odds. Since Jorge Mario Bergoglio became Pope Francis in 2013, countless books have been written to help the world understand this deeply complex yet simple servant of God. What sets Pope Francis: Life and Revolution apart from all other biographies of Pope Francis is the careful research and original investigation behind it, along with the fact that it is written ePub by an internationally respected journalist—Elisabetta Piqué—who has remained close to the Pope since first meeting him back in 2001. 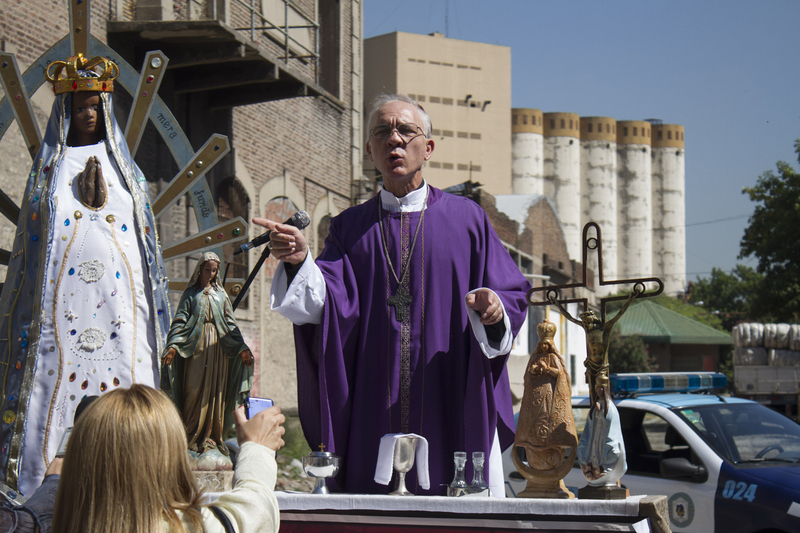 Taking on the titular role is Award-winning Argentine actor Dario Grandinetti, who starred in Pedro Almodovar’s “Talk to Her,” will play the former Buenos Aires archbishop Jorge Bergoglio. The actor and the film’s producer and director met with the Pope prior the film’s production, “We hope this film will transmit the admiration all of us feel for the coherence of a life based on austerity and charity, and that will inspire people,” said director Docampo Feijoo, who also wrote the script for the film. “Papa Francisco: The Pope Francis Story” in cinemas September 30 from Pioneer Films.